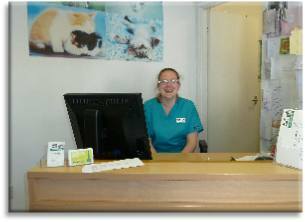 Here at Just Cats we have a small, friendly team of staff dedicated to the care of your feline friends. My work with animals began in 1985 when I took a job as a kennel maid with the RSPCA in Birkdale. 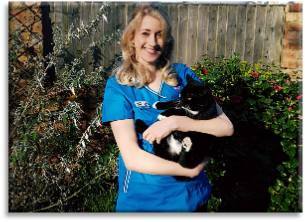 In 1998 I moved to a veterinary practice in Southport to train as a veterinary nurse and gained my qualification in 1990. I became Head Nurse at the practice shortly afterwards. 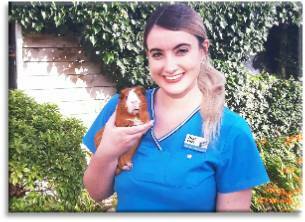 After 5 years I left the Southport veterinary practice and joined the PDSA veterinary hospital in Everton as Head Nurse. 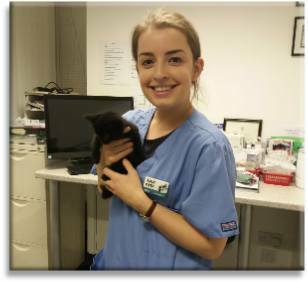 In 2000 I moved to the new PDSA veterinary hospital in Huyton, continuing in the role of Head Nurse and student assessor. 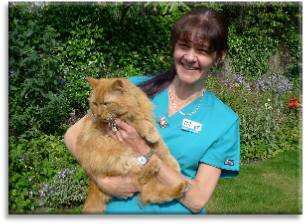 I started working at Just Cats Veterinary Clinic when the clinic opened in May 2007, again in the role of Head Nurse. I am privileged to have owned 13 cats over the last 25 years, having hand reared 3 of them from 1 week old. I currently have 3 cats. 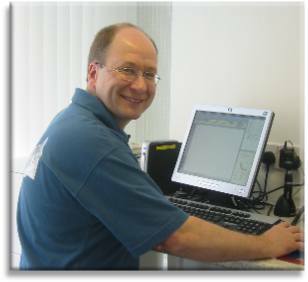 I started my veterinary nursing career, working evenings and Saturday mornings, cleaning kennels, for my local vets in Basingstoke. At the age of 17, I moved to a mixed veterinary hospital, working with farm and equine, as well as small animals. 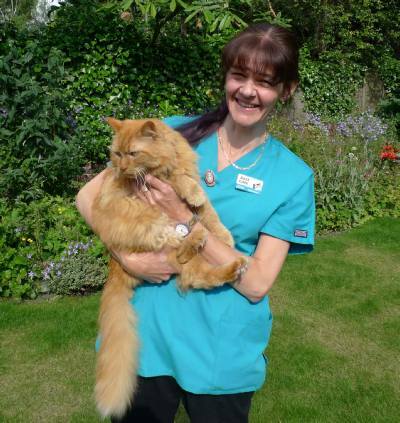 I started my vet nurse training in 1990, after moving to a small animal practice in London, working there for 2 years before deciding to take a job with Barn Lodge Veterinary Hospital in Ormskirk. I qualified as a vet nurse in 1994 and worked at various small animal practices as Head Nurse before moving into teaching in 2000, gaining my Certificate in Education through Manchester University. 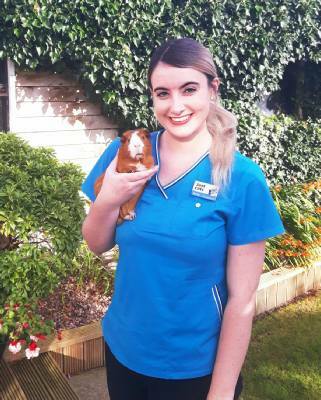 In 2001, I moved to a government funded training provider for the Animal Care industry based in St Helens and became a Veterinary Nursing teacher at Lite Ltd, taking on the role of Head of the Veterinary Nurse department in 2005. During this time I continued to locum for Vets Now in Warrington and the PDSA in Huyton. 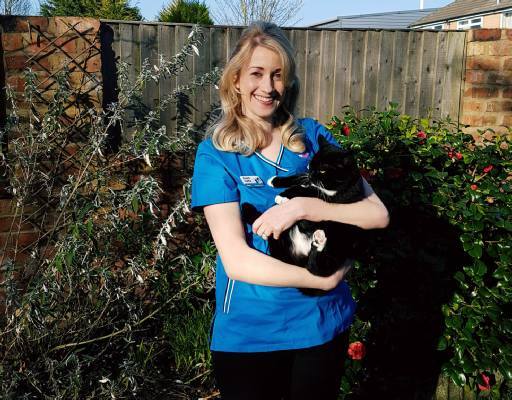 In 2011 and missing the ‘hands on’ aspect of veterinary nursing, I took a part-time role with Just Cats Veterinary Clinic while continuing with my teaching work. A stray kitten that moved with me from London, got to the grand old age of 22 years old before making way for several other rescued, elderly felines. Presently, I have 3 cats, 3 guinea pigs and 3 hamsters. 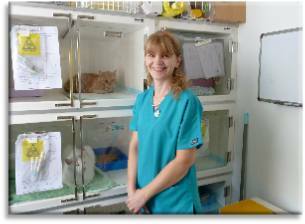 I have worked at the Just Cats Veterinary Clinic since its opening in May 2007. 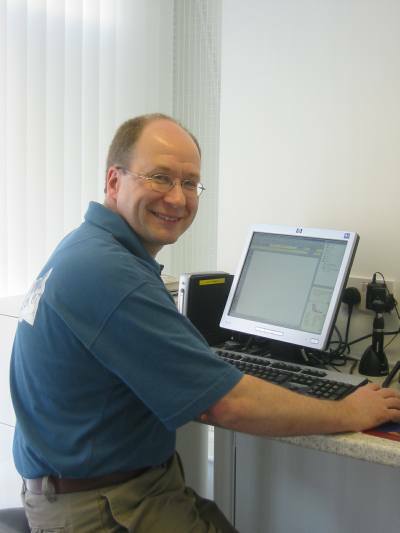 I work part-time, usually mornings, on reception as well as assisting in other areas of the clinic when possible. I am currently ‘owned’ by four beautiful young cats, Lily, Yoshi, Cinnamon and Tom Frog. 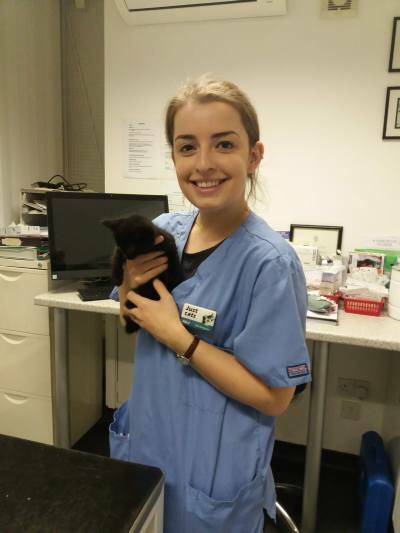 I graduated from the University of Liverpool in 2018 and started working at Just Cats in September 2018. I had been coming to the practice as a student so feel very lucky to be working here now. I love cats and really enjoy working with them all day every day. At home I have 2 cats, Ruby and Flynn, a dog called Buzz, 2 guinea pigs, Penny and Ghostpig, and a tortoise called Bear Grylls.